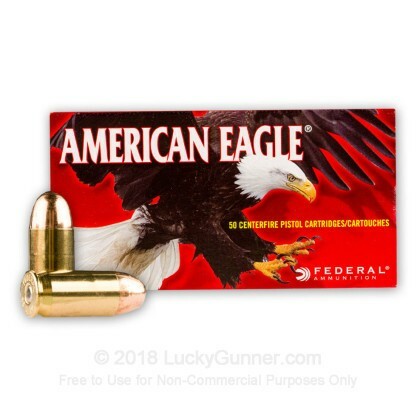 Tried a variety of .45 ACP over the past year and Federal American Eagle is now the only ammo I shoot at the range. Consistent quality and performance and it shoot CLEAN. Reasonably priced - stock up when you can and shoot happy! Great product and highly recommended! Wide selections, easy-to-use website, rapid and accurate delivery, wonderful ammo, what more can you ask?! First time I shot American Eagle ammo in my SA 191145ACP. 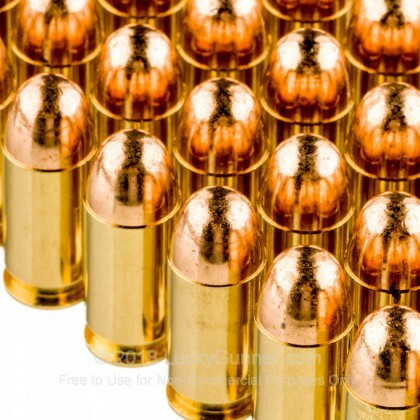 This ammo is cleaner than the Remington and Winchester I have been using. When I cleaned my gun the difference really showed. Was about half as dirty as usual! Lucky Gunner is awesome! Easy to select any variety of ammo. Always in stock. You immediately see the cost per round; any variety available. Hang on to the grip when you pull the trigger. This ammo packs a punch. Your service is great and the products are excellent. THAT IS WHAT BUSINESS IS ALL ABOUT- keep it up. LG was right on with delivery! I have always received my goods in 3 business days here in Ohio. Colorful packaging and ‘Bright’ brass in a great plastic cartridge holder. 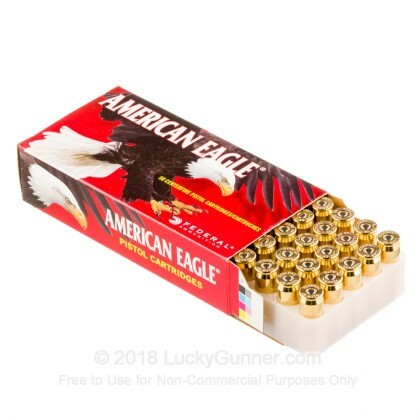 Ammo performed consistently however, I have a FTF about every box and a half. 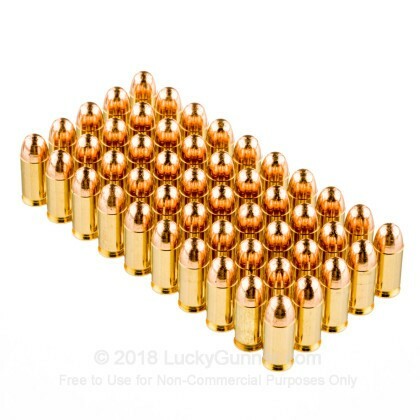 Practice ammo for sure, a touch high on the $ side considering the FTF. My XDs makes consistent hole patterns! Great customer service. Excellent quality round. My Beretta PX4 Storm 45acp eats this stuff like candy. Have fired several hundred rounds and I have experienced no FTF or FTE. A tad expensive for the range, but so is everything else. Arrived timely and in great condition. Had a glitch on my web order and got outstanding customer service and follow up. 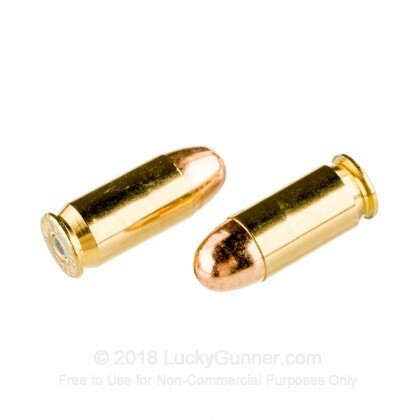 When everyone is out of ammo or waiting for a back order you can always count on Lucky Gunner . Fast and efficient with good prices. As an instructor I can't depend on local distributors or I would be canceling classes. And as a bonus they are Military friendly. Good for practice, but not competition. Exceeds Major Power Factor (165) quite a bit. I prefer the Russian Tulammo because the power factor is about 175 and no need to pick up the steel shells. They can be reloaded though! I find the customer service, and availability to be beyond reproach in these days of empty shelves. I have not fired any yet, the snow is just recently gone, and the rain is every day. I can't imagine this ammunition would be problematic. It's a pleasure doing business with this company. Fast delivery... Ordered on 2-24-13 delivered on 2-27-13... Very pleased...I will definitely buy from Lucky Gunner again! Thanx Lucky Gunner! A tad expensive, but what isn't these days. used this ammo in my brand-spanking new FN FNX-45 yesterday...shot 150 rounds without a single failure...took my pistol home to clean and it wasn't near as dirty as I thought it would be. I wish it was a bit cheaper because I love shooting my new "toy", however, it's cheaper here than anywhere else I've found (including LGS) and the shipping/customer service from LuckyGunner is 2nd to None. A fine round for the range. Good quality and a decent price point. Shoots clean, functioned great in my 25 year old Colt. Great Quality, 100% Reliable, Decent Price. Clean,accurate ammo at a good price.I hope they get more bulk ammo in stock.I have purchased twice,would buy again. 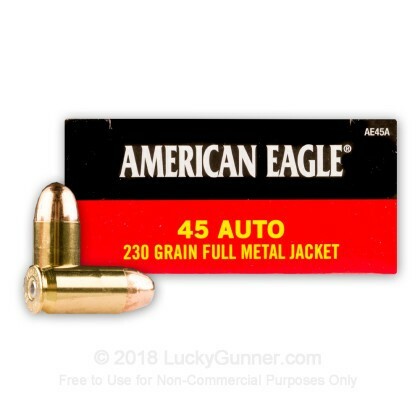 We also have this 45 ACP - 230 Grain FMJ - Federal American Eagle - 1000 Rounds ammo in stock in a bigger quantity.